Which ‘Age’ Will You Trust? Originally published in Creation 19, no 2 (March 1997): 42-43. Mainstream geologists would never think of trying to get a radiocarbon (14C) date for the coalified wood in this Mägenwil sandstone, because anything that old should not be datable by this method. In 1984, I was on a geological excursion in Mägenwil (Switzerland). I collected some sandstone samples with fossilized mussels in it. This rock is classified as belonging to the Upper Tertiary geological system. Evolutionary belief therefore maintains that this rock is around 20 million years old. In the same rock, right alongside the fossil mussels, are fragments of coalified wood. Some time after I took my samples, I discovered the same sandstone, appropriately described as coming from Mägenwil, exhibited in the ‘Geologisch-Mineralogische Austellung der ETH’ in Zürich—naturally, also labelled ‘20 million years old’. That means the wood must also be at least that old. Mainstream geologists would never think of trying to get a radiocarbon (14C) date for the coalified wood in this Mägenwil sandstone, because anything that old should not be datable by this method. This is because radiocarbon decays very rapidly compared to other radioactive elements such as uranium. So after, say, a theoretical 100,000 years at the most the amount of radiocarbon left in the wood would not be detectable anymore. So anything which really was millions of years old would have no detectable radiocarbon left, and would register as giving an ‘infinite radiocarbon age’. Carbon dating, as it is often called, is thus never used to date ‘old’ fossils (which usually have no organic carbon left anyway). However, I felt this wood probably would give a radiocarbon ‘date’, because I was convinced that this sandstone was the result of residual post-Flood catastrophism, just a few thousand years ago. However, if it registered any age at all on the radiocarbon test (and all sources of potential contamination had been eliminated), it would mean that it could not possibly be millions of years old. The result: 36,440 years BP ± 330 years. This discovery, that the 14C in the wood has not yet had time to disintegrate totally, is in line with what one would expect, based on the true history of the world given in the Bible by the One who made all, and Who alone is infinite in knowledge, wisdom and power. The real age is probably less than four thousand years. Accept the radiocarbon date. This would mean that the age of the Upper Tertiary shrinks from 20 million to 36,000 years, a factor of around 500 times. The whole geologic dating system would be thrown into disrepute. Arbitrarily reject the radiocarbon date. To be consistent, therefore, they would have to conclude that radiometric dates are not the absolute age indicators we are persistently told, which destroys the main plank in the old-age dogma to begin with. Ignore the result, and hope not too many get to know about it. There are many today, even within evangelical churches, who deny the Bible’s record of a recent creation. Because of this belief, they therefore insist that the fossils are not related to a global Flood (which they also deny), but are millions of years old. 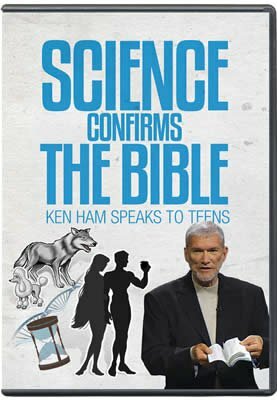 Since fossils show death, suffering, bloodshed and disease, that means that in their view, all these ‘bad things’ must have been there long before Adam’s bringing sin into the world ( Romans 5:12 ), with the resultant Curse on creation ( Romans 8:20–22 ). Sadly, such deadly compromise is often the result of a completely misplaced faith in the ‘absolute’ ages given by radiometric methods. See video by Russell Humphreys, Ph.D., Radiocarbon, Creation, and the Genesis Flood. An ‘infinite’ radiocarbon age, though consistent with an age of millions of years, would not be proof of it, of course; it could merely indicate that there was a very low initial ratio of 14C to 12C (radiocarbon to ‘normal’ carbon) in the pre-Flood atmosphere, for which there are several readily postulated mechanisms. Copy of official report on file with Creation magazine. Note from the editor: Although it is never possible to be absolutely certain that contamination and sources of error have been eliminated, a laboratory’s reputation depends on delivering ‘good’ results. At the time this test was done (1985), the head of this laboratory was on the Board of Editors of the international journal Radiocarbon. Also, the author of the article rang the laboratory in October 1996. The laboratory confirmed that the determination (done in the traditional way, not by the newer AMS method) had included everything possible to eliminate contamination, which included doing what is known as a d13CPDB correction. This is a critical test in regard to the possibility that the wood may have been contaminated by more recent microbes while in the ground or later.